SolarAid has once again won the Energy Globe award for our work in Malawi. Last year we won the award for developing the world’s most affordable solar light, the SM100, and for pioneering pay-as-you-go (PAYG) ownership schemes for affordable solar lights in rural Malawi. This is the third time SolarAid has won an Energy Globe award, the first time was in 2012. This year, we beat more more than 2,000 other project submissions from 182 participating countries to scoop the prestigious environmental prize, which distinguishes projects that conserve energy and utilize renewables. SolarAid has been pioneering ways to light up Africa, and make energy more affordable to more people, since 2006. Winning the Energy Globe Award for the second year running, against such a huge amount of other great projects, is a real boost for morale and another great accolade for the SolarAid and SunnyMoney teams – but we’re not really in this for awards. Today, in 2018, there are still more than 600 million people in Africa who lack access to electricity and light, a situation which is totally unacceptable. Lack of energy is proven to lock people into a cycle of poverty and this fundamental inequality demands urgently action. SolarAid is a small, self-funded charity and although we are proud to have made some great progress, helping to catalyse sustainable solar markets in Kenya and Tanzania, we can not fix this problem on our own. We call on governments, NGOs, businesses and individuals everywhere to step up and help us bring more people out of the darkness. 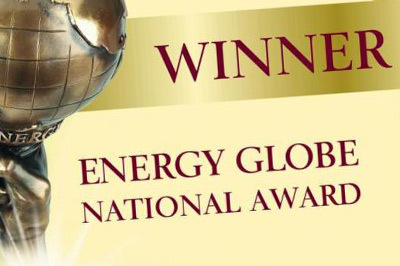 We are very proud to have won the Energy Globe award for the second year running. We pioneered PAYG (Pay As You Go) solar lighting and have helped over 10 million people access solar light via our innovative distribution model which combines business and charity to most effectively reach rural areas with maximum impact, but we need to do more. Income levels in Malawi are some of the lowest in the world – and when you live on less than a few dollars per month it is virtually impossible to afford even the most basic forms of energy and lighting. If we had more support, for ideas like Project Switch, we could do more to develop innovative ways to reduce costs, light up lives and help bring people out of poverty. Please support our work if you are able. Once again, we would like to thank our tireless supporters who continue to make our work possible. If you like what we do please help by sharing news about our latest appeal for Project Switch, which aims to provide light and energy to the people of Africa at more affordable rates than ever before.